I love books. Even in this world of the Internet I still like to buy a good book of structured “curated content” that takes the reader on a journey. There are quite a few books out there about the various Microsoft BI products. I plan to keep this page updated over time with a list of the books that I think are the best of the best. My focus is on books that help Excel users, but that is not to say that these books wont help someone from a SQL Server background. There are 6 books that I currently recommend to anyone that wants to learn DAX. Power Pivot and DAX are very different to traditional Excel and as a result you really need to get some hands on practice if you want to be good enough to use this great new tool. I have trained lots of Excel users in how to write DAX in my live training sessions, and I have used my 30 years of Excel experience and my teaching experience and used it to write this book in a way that every Excel user will understand. There are plenty of practice exercises in this book and you are actively encouraged to complete each one. When you are done with this book, you will be well on the way to becoming a Power Pivot ninja. Learn to Write DAX was first released in December 2015 when Power BI was just a fledgling product. 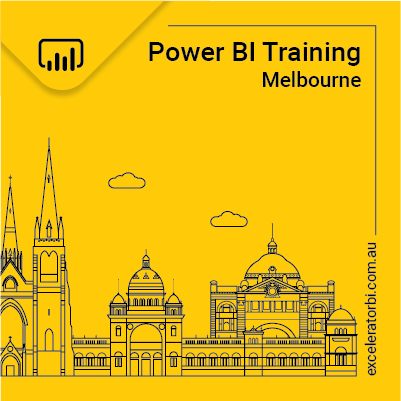 Learn to Write DAX teaches readers how to use Power Pivot using Excel 2013 and also provides a guided path to migrate those skills to Power BI. Read more about this book and where to purchase it here. Supercharge Excel: When You Learn to Write DAX for Power Pivot is the second edition of the book Learn to Write DAX. It covers the same learning experience as covered in my first book using Excel 2016. Supercharge Excel gives you the required hands-on practice using Power Pivot for Excel and writing DAX. My new book Supercharge Power BI: Power BI is Better When you Learn to Write DAX covers the same learning experience as covered in my first book and hence it can be considered a sister book. These two books use the same content, teaching, and practice format but with different software versions, as indicated in the titles. 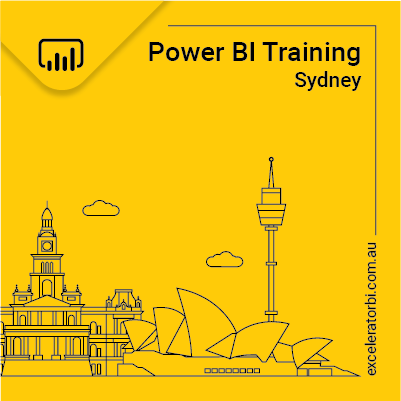 Supercharge Power BI gives you the required hands-on practice using Power BI Desktop and writing DAX. Learning DAX makes you a Data Modeller. Data modelling is essential to derive the data insights from your raw data so as to enable decision making by the users of your reports. With this book you can rather quickly learn the required DAX skills and put the new skills in use. Rob’s book is the one that started it all for me – the original version is still available for purchase here as an eBook and here as a Paperback (Australia Only). This book is now in its 2nd Edition with a new ISBN and includes DAX, Power Query, Power BI Desktop, PowerBI.com. Covers Excel 2010 through Excel 2016. I sell the eBook to all customers and the physical book (ships to Australia only) at my online shop. There are 2 benefits for Australians to buy the physical book direct from me. The book normally ships the same day for delivery normally within 1-2 days. (compared with 10-14 days from Amazon). When you buy the physical book from me, you also get a bonus DRM free copy of the eBook as well for immediate download. So you can have the physical book at home and also have access to the eBook for when you need it. And there no need to wait the 2 days for the physical book to arrive before you start reading – you can download the eBook right away. The eBook is still copyright material of course and is provided for your personal use. If you are in the USA, you can buy the book direct from the publisher – Mr Excel. When you buy from Mr Excel, you get a DRM free eBook copy and also a free tip card valued at $2.95. And of course you can buy the book (physical and Kindle edition) from Amazon. This is another great book and was written by Alberto Ferrari and Marco Russo (affectionately named “The Italians” originally by Rob Collie). These 2 guys know almost everything there is to know about Power Pivot and DAX, and they are also very generous in their free sharing of high value information over the Internet (see links below). Now personally I find this book to be more technical in nature, but still well within the reach of a competent Excel user. I recommend Excel users first read my book and then read this book when you are yearning for more. And when you are done with the above books, it is time to step up a level and read The Definitive Guide to DAX, also by Ferrari and Russo. This is a deep detailed book and is not for the novice. But if you ever want to be something other than a casual user, you really should read this book at some point after you have done your apprenticeship reading and learning. It is also a good book as a reference guide. You can buy the book from Amazon. There are a few great Power Query books I recommend. This is the first Power Query book that I recommend – written by Ken Puls and Miguel Escobar. This book is 220+ pages of Power Query information that covers the length and breadth of what you need to know to use this great Excel tool from Microsoft. Ken and Miguel have structured the chapters in a way that builds from the simple introductory topics up to some of the more advanced (but still easily learnable) techniques that can only be accessed when you get into the M programming language (also called the Power Query Formula Language). I have written a full book review that you can read here. I sell the eBook to all customers and the physical book (ships to Australia only). Click here to go to my online shop. There are 2 benefits for Australians to buy the physical book direct from me. This is the new book from Ken Puls and Miguel Escobar – it should be available in April 2018 but can be pre-ordered from Amazon. It is the second edition of Ken and Miguel’s earlier offering, “M is for Data Monkey”. Chris Webb has written this book in a thoughtful manner. He starts with the basics and then layers concepts one on one until he culminates with a chapter of real world examples of easy to understand use cases. These use cases leverage the skills learnt in the book and give you something meaningful to work on to absorb how the concepts are used in real life. I have written a specific review of Chris’s book that you can read here. You can buy this book from Amazon at the link below. OK, so I started out by saying I love books – and I do. But I also love Blogs. This is where an author is able to share smaller “bite sized” pieces of information on a particular topic with people who are interested. Unlike a book, a blog is more timely in nature and normally more targeted at a particular sub topic. There are quite a few blogs out there written by people that are passionate about Power Pivot and Power Query. Here is a list of the best ones I know. You should go to these blogs and sign up to be notified of new posts – that way you will get small snippets of information over time that will help you build your knowledge.